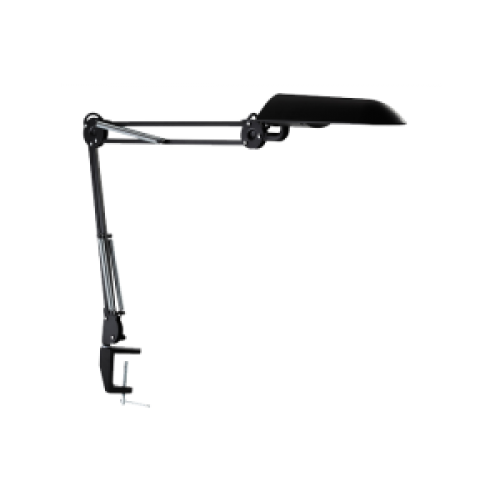 Luxo New Verit is a versatile task light that adapts to any work environment. A high efficiency electronic ballast provides flicker-free illumination. 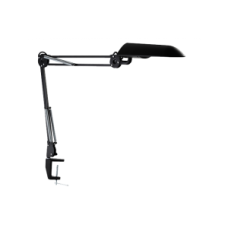 Verit produces glare-free illumination and provides a large area of comfortable and ergonomic illumination at an economical price. Spring balanced 33" arm and flexible shade can be turned and fixed in almost any position. A 13 watt compact fluorescent bulb provides 1200 lux on the workplace. Classic design in the Luxo tradition. Clamp on base. Available in black (BK) . 115 vac, 60 hz.